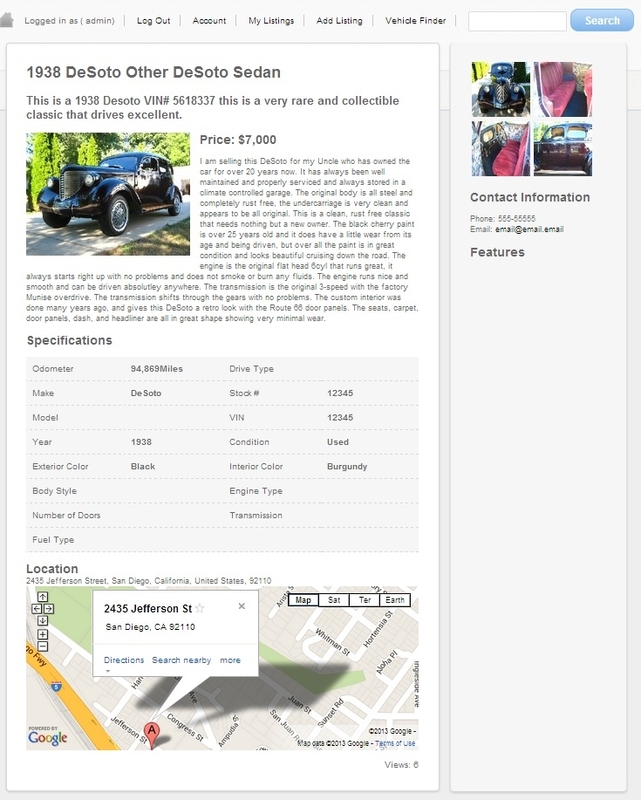 idev-Vehicles is a PHP Script used to create a vehicle classified listings directory on your website. 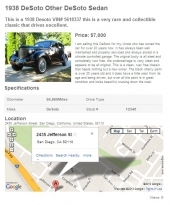 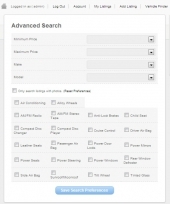 With our auto dealer script administrators and website visitors have the option of submitting vehicle listings. 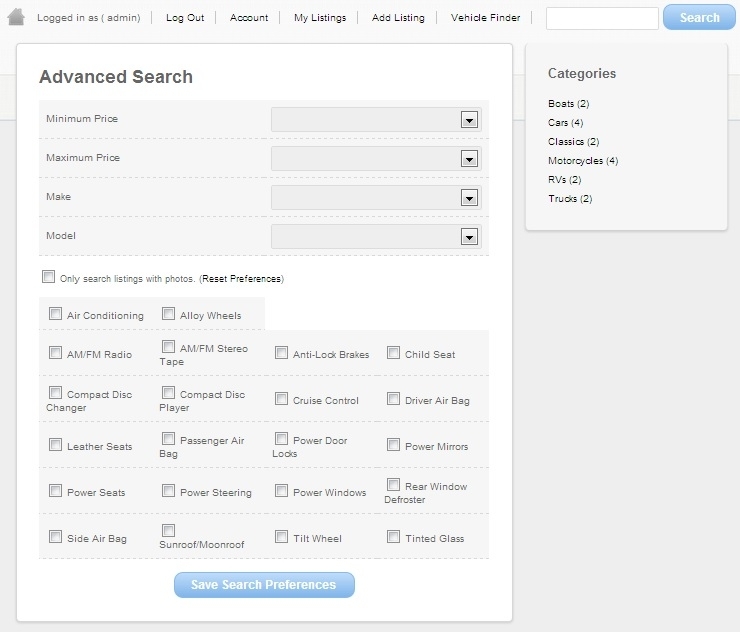 You as an admin can choose to charge for listings, or make your idev-Vehicles directory entirely free for visitors to post their vehicle listings. 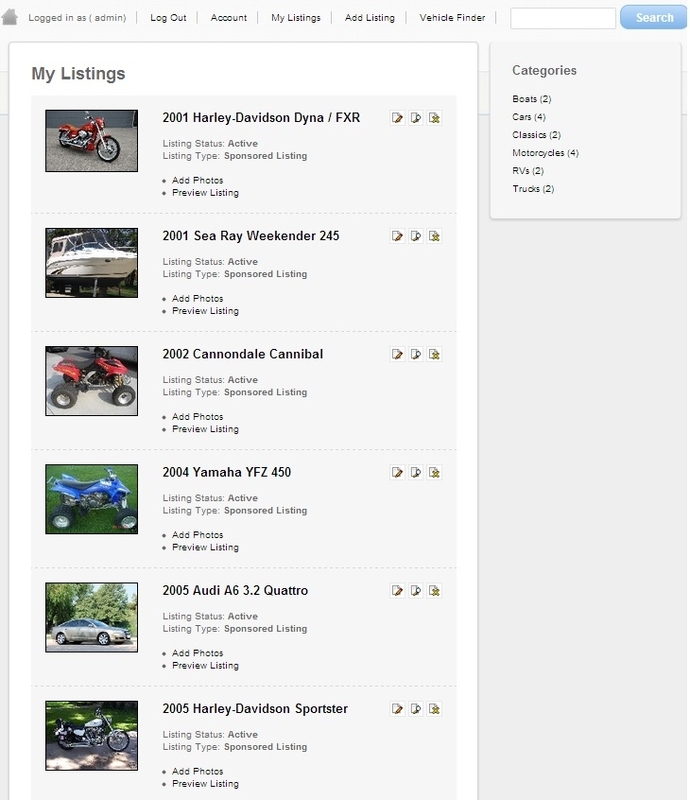 Our auto dealer script features Paypal integration and since we provide the full source code, the vehicle listing script is customizable to your likings. 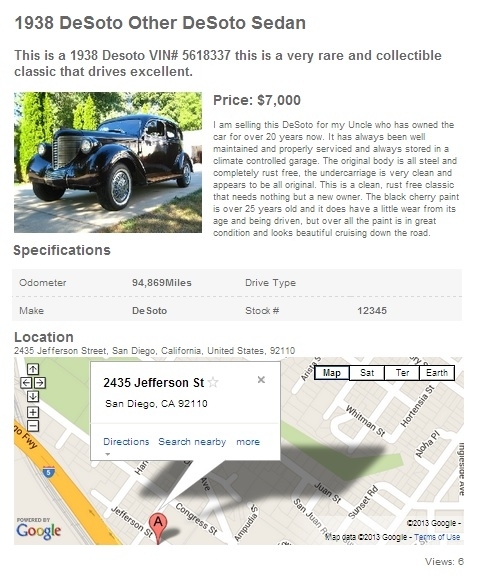 With our vehicle listing script visitors will be able to visually search listings on Google Maps and toggle 3D Google Earth view. 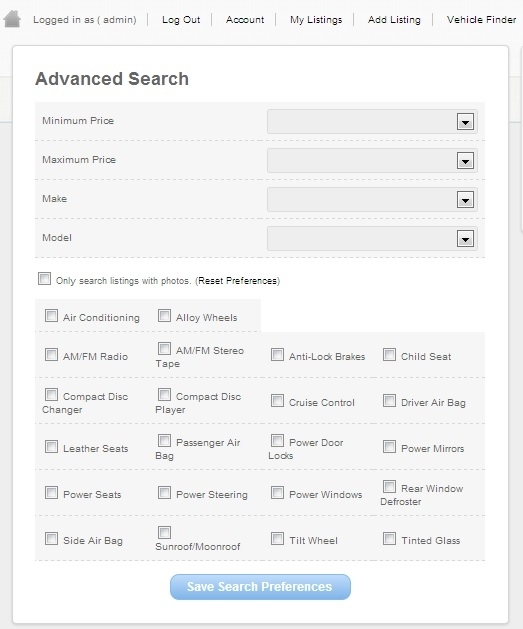 Our auto classifieds listing script allows you to search by different criteria: price, make, model, only search listing with photos and etc.